Click the Shop link or go to etsy.com/shop/TheTarotParlor to get 25% off any tarot reading now through Monday, November 26th, 2018. I look forward to reading for you. Hello Everyone! I hope you are all having a wonderful November and a glorious holiday season. It’s been a super busy month for me, like all Eight of Pentacles all the time. I’ve been awash with schoolwork and also giving 110% to ‪#‎NaNoWriMo‬ (National Novel Writing Month). For those of you who are participating, I just reached 37,000 words and I am so proud of myself. It’s more words than I have ever written for one project…ever! Once November wraps up, I anticipate having more time for tarot. 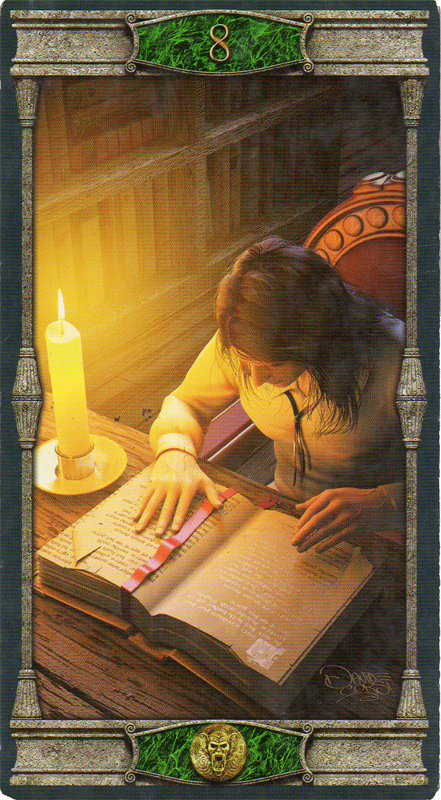 The school term will be over as well, so the only commitments I will have will be The Tarot Parlor and editing my novel. Also, I plan on designing some New Years themed readings for the shop to be available in December.